Islay is a 153,000 acre Island standing 491m above sea level off the West Coast of Scotland. 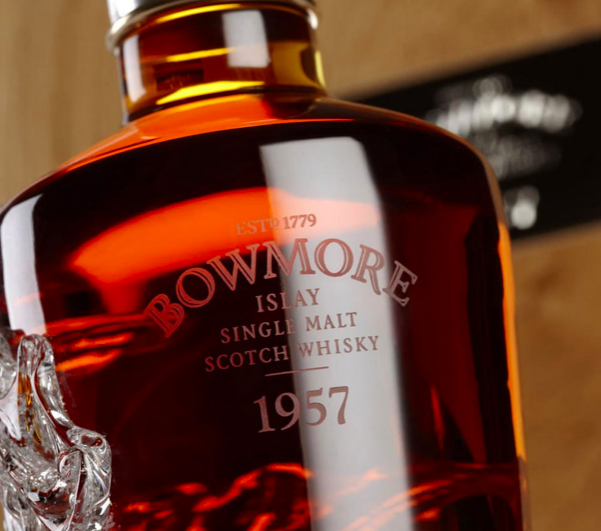 Bowmore is now "the Capitol City" with a population of about 900 people and it is Bowmore Whisky that have joined hands and come on board as a sponsor. Being on the west side of the Islay, the Distillery is sometimes battered by the Atlantic Ocean, the same Ocean I will be crossing in just a few months. We both share the passion for rugged outdoors, the driving weather and sometimes the sunshine. To be out in the wilderness at sea, at high altitudes or in the desert, sometimes just drinking water is not enough to celebrate the beauty of it all, so why not have a quick dram to celebrate those milestones, eh? The answer is YES!…I will be having a little dram every 500 miles or so to aknowledge a personal goal. I'm smelling my Bowmore ship's supply already! The shipping is all booked for the boat and I'm now starting to get to grips with the latest technology in cmaeras, computers, phones and communications. It is rather complicated, not just " take a pic, make a phone call". I have to understand how to shrink photos, then zip them and email them back to home. Don't forget there is no broadband out there. It's 1995 technology…remember? dial, wait for the crunching noise, then connect …of course the younger ones won't understand that! Showing my age now.